Our complete lawn mowing services will give you a beautiful looking lawn without the hassle. You'll have the same staff working on your lawn each time and we can work with you on a set schedule so you know when to expect us. 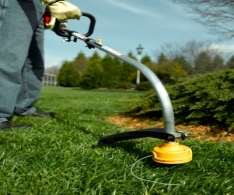 Using the right equipment is also an important part of lawn care. Our lawn mowing equipment is commercial grade and is well-maintained to ensure that your lawn will look its best each and every time we're there. We have a 5-step liquid application program that is recommended for optimum weed control and a healthy lawn. The first application includes a crabgrass prevention, and the last one focuses on winterization. The middle applications include a broadleaf control along with the fertilizer. We also have products that can focus on the specific types of weeds that are in your lawn. For those of you that prefer granular applications, we have that too. We also have organic products which are more safe if you have pets, or if you would like less chemicals on your lawn. It is a liquid extract of compost that contains micro-organisms that are beneficial to soil and contains plant growth compounds. Aerated Compost Tea uses aeration technology to create the optimum levels of oxygen for growth and reproduction of the beneficial micro-organisms. Compost Teas are now being used in many areas of horticulture, agriculture, nurseries, lawn care and residential gardens. Since it is a good overall plant health booster, it is typically used to provide nutrients for a foliar or soil application. Another soil benefit is the building of microbial populations. A healthy biologically diverse soil promotes more efficient nutrient cycling, which can eventually reduce the amount of fertilizer nutrients required. Aerating is a technique that is commonly used by golf courses to keep full, lush fairways and greens. In your yard, aeration can help prevent thinning lawns by loosening the soil and allowing nutrients to flow to the roots more easily. Aeration is typically done annually or bi-annually and its results are seen over time. 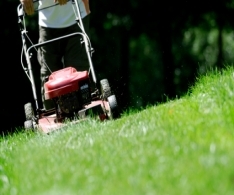 Premium Lawn Service recommends aeration for maintenance of a healthy lawn. Sometimes it's the smallest things that can make the biggest difference. If your lawn has become the home of insects like grubs, ants, japanese beetles, Premium Lawn Service can help you rid your lawn of these pests. Diseases can also infect your lawn, such as fungus, red thread, summer patch, dollar spot, among others. We also treat for the Emerald Ash Borer. It has been seen in Chippewa Falls 2017. These beetles will destroy all the Ash trees in the area eventually. It is much cheaper to treat for the beetle than to take down, dispose and replant new trees. Your trees are an investment and add value to any property. The trees need to be treated now before too much damage occurs. Trimming your shrubs and other greenery in your yard is important to keep them blooming at the proper times and minimizes overgrowth, keeping your property looking neater. Premium Lawn Service's trained and experienced staff know when to trim certain plant species and when not to, and will schedule the trimming of your shrubs with you. When they're finished, they'll make sure to clean up after trimming so that your yard or landscaped area is clear of debris. Adding sidewalk edging adds the exclamation point to your outdoor space. It can enhance the appearance of your property, prevent overgrowth, and eases snow removal preventing damage to your landscaping during the winter months. Lime is a necessary part of a healthy lawn, helping to maintain the proper PH levels and give you a thicker, greener lawn. Premium Lawn Service's trained technicians will come to your home to do a free PH test and recommend the proper treatment if needed. The results of lime treatment are not immediate - it usually takes about a year to break down in the soil and provide full benefits to your lawn. Make sure your lawn is properly prepared for winter! Premium Lawn Service will schedule a cleanup day to clean flower / rock beds, mow the lawn, and bag / dispose the clippings and other yard waste. Preparing for winter will help prevent buildup under the snow which can suffocate and kill your lawn. 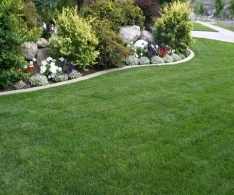 In the spring, Premium Lawn Service can help get your lawn ready for a busy summer season. We'll clean out any flower / rock beds and de-thatch the lawn to remove any dead grass clippings or leaves from the previous fall season, allowing your lawn to grow thicker and greener. We'll also dispose of any debris and clean up the yard so that it looks great and is ready to use. For deeper yard cleanup on thicker lawn, power-raking is available for an additional charge.